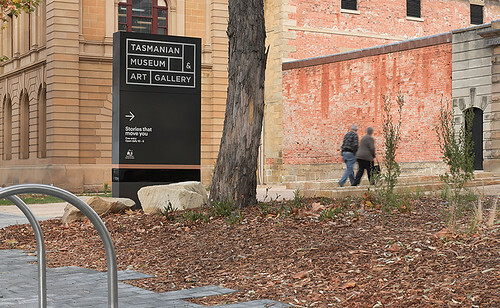 To design historians in Europe and the United States, Australian practitioners can appear disconnected – invisible to the global narrative. A fairer way to position Australians within the history of design is to measure the influence they have had within their own communities. Taking this viewpoint on board, my newly launched afFEMation.com website focuses on giving visibility to women designers whose significant contributions and local networks deserve close examination. afFEMation.com has been launched to create heroes of women in Australian graphic design, including Michaela Webb. Top: Michaela Webb. Photography by Carmen Holder and Deborah Jane Carruthers. In order to address this disparity, I approached the designers most frequently cited in the ‘Invisible’ survey to take part in an online collection of profiles for afFEMation.com. Women flew into Melbourne from across the country to have their portraits taken and share their experiences on camera. And rather than making ‘international influence’ a determining factor for their inclusion in this project, respondents to the survey listed ‘working experimentally’, ‘mentoring others’ and ‘having a profile amongst their peers’ as the top three reasons to include these women as ‘design heroes’. 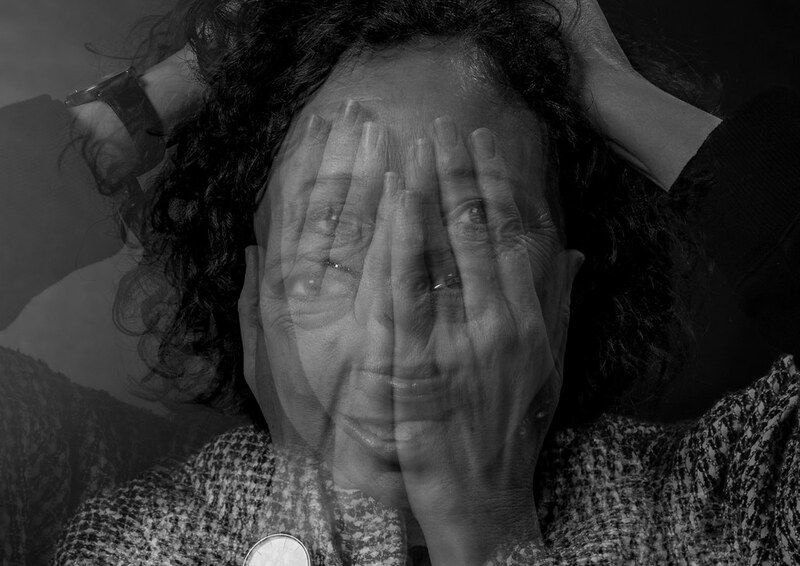 This website is now online and includes photographic portraits, videoed interviews, galleries of work and brief biographies of 24 women. These include women who run their own studios and those who freelance, as well as women whose practices cross over into publishing, advertising, the arts, education, research and festival management. 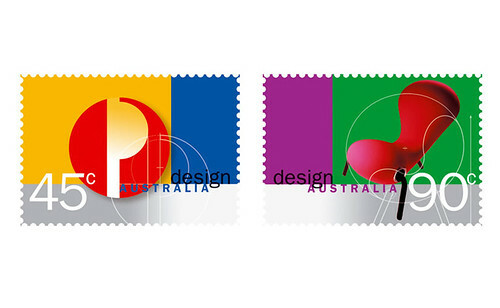 Lynda Warner’s stamps, commissioned by Australia Post, celebrate Australian design, 1999. 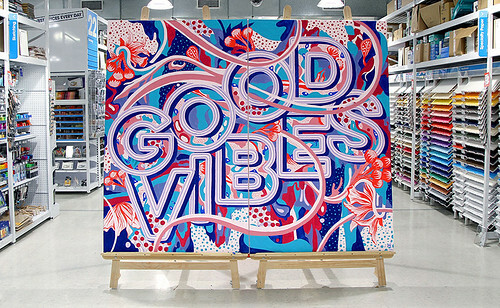 Gemma O’Brien’s hand painted calligraphy, commissioned for an Officeworks instore promotion, 2016. 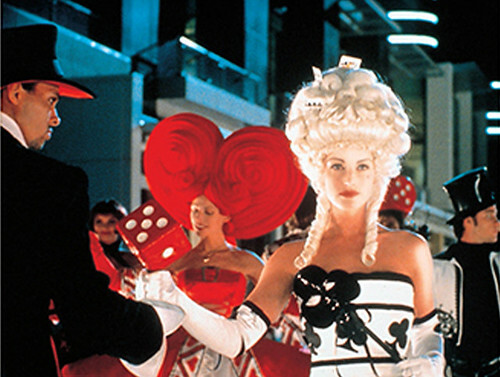 Maree Coote’s groundbreaking TVC campaign for Melbourne’s Crown entertainment complex, 1997. Warner and O’Brien are just two of the women notably absent from the history of graphic design. 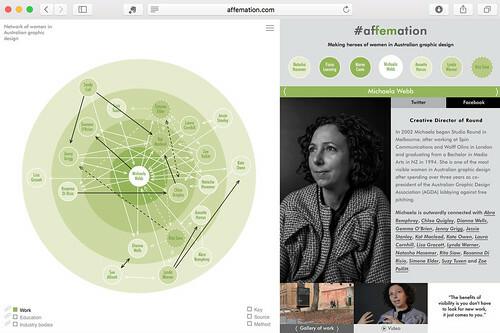 In afFEMation.com, they are two among 22 others who deserve serious recognition, with a chance to explore the connections these women have made and appreciate their work in context. 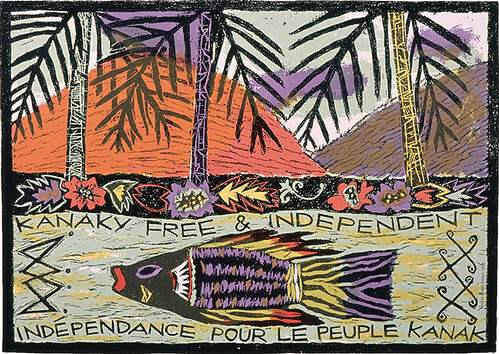 Dianna Well’s political poster, from 1988, which was produced through the Another Planet Posters collective. 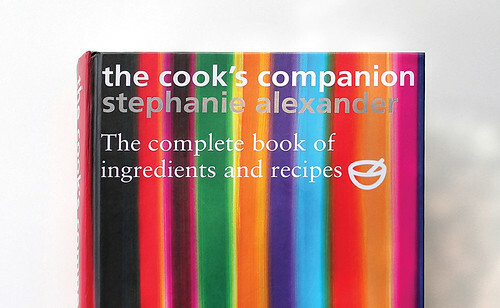 Sandy Cull’s cover design for Stephanie Alexander’s The Cook’s Companion, 2005. Video interviews with Lisa Grocott and Michaela Webb, shot by Carmen Holder and Deborah Jane Carruthers, 2017. Questions by Jane Connory.